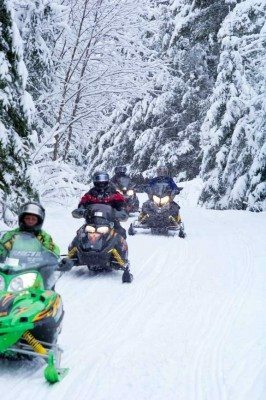 Snowmobiling: Breezy Point is located on the groomed trail system in the Lakes Area. Thousands of miles of trails surround the complex, 1500 miles in Crow Wing County alone! Newest of these is the Paul Bunyan State Trail which connects Brainerd to Bemidji, only five miles from the Breezy Point entrance.